"Here at the Greer Chiropractic Life Center, we have been blessed with the opportunity to care for so many of you over the years. May we warmly invite you to stop by, or give us a call." Greer Chiropractic has proudly served the Plymouth-Canton area for over 10 years, with an emphasis on individual needs. We offer a diversity of services and methods to meet your specific issues. We are also a family care facility, where children may enjoy the benefits of affordable chiropractic. Today's chiropractic care may be pursued for many different reasons, but in all instances, our patients require both quality care and the proper direction. If you are tired of the rapid pace of large impersonal practices, give us a call. 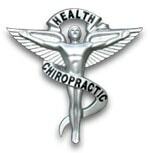 In these tough economic times, many of us may be cutting back and may feel that chiropractic care is unaffordable. We fully understand that many people may have financial limitations. Here at Greer Chiropractic, we handle each case individually with affordable treatment and payment plans. We also possess one of the most affordable and unique spinal decompression programs available today.